Iran is not a country known for its acceptance of VPN services but things are about to get even more difficult for Iranian internet users across the country as it was announced that authorities will crack down harder on VPN services. The announcement came from the Iranian telecommunications minister who claims due to US influence on VPN providers they’re a security risk for users across the country. While some of what telecommunications minister, Mohammad Javad Azeri Jahromi says could be partly true it is understood the reality of the crackdowns is to stem the flow of information. 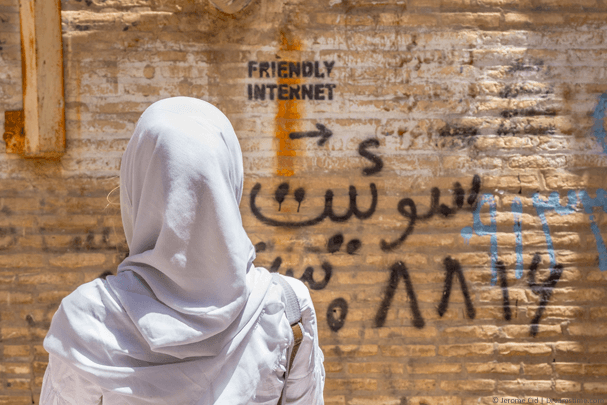 Iran already has one of the most restrictive internet regimes in the world only closely bettered by both North Korea and China. A few weeks ago Iranian internet users took to Twitter en masse to plead with encrypted communications tool makers Telegram after the service was blocked across the country. Many turned to VPN services following Russian users who faced a similar block to beat the ban. However with VPN services a hit and miss affair in Iran it can be a lengthy process to find a working service. Regardless of the already tough restrictions in place on VPN services, Iran are aiming to push forward and further increase the difficulty to access VPN services. The aim is to stop users from bypassing censorship restrictions on services such as Telegram by using a VPN. It would seem clear that Iran wants to block anything that enables users to bypass restrictions on services that allows them to communicate freely. The Iranian telecommunications minister went a step further and justified the proposed crackdown claiming that “budgets of some of them are provided by the U.S. government.” referring to VPN services. He did not make any direct accusations at any particular VPN service but further added that some VPN services are simply malware. While it’s clear that Iran’s intentions are more likely aimed at blocking the free flow of information throughout the country there appears to be some truth in the reasons given. Malware containing VPN apps are a common issue which increases dramatically at times of blockades and censorship. Only recently Sri Lankan authorities warned that users flocking to free-VPN services to bypass social media restrictions were at risk of putting not only their privacy at risk but also the security of their devices. Iran has also previously been a target for malware peddlers when a modified VPN app was caught issuing ransomware demands to users. While some of this is scaremongering there is an element of truth that some free VPN services have been found to be benefiting from times of censorship by hovering up information about their users and more worryingly installing other hidden features which are unwelcome and unnecessary. What’s more interesting is the comments about US authorities being behind the funding of some VPN services and while there is no specific evidence of any VPN provider being involved the rumour is well founded. Part of documents released by whistle-blower Edward Snowden show that a surveillance tactic known as “MONKEYROCKET” made use of “a non-Western Internet anonymization service” with a significant user base in China and Iran to slurp up information about users. So while one would expect that the real reason behind the Iranian VPN crackdown is more likely be to stem the free flow of information there are clear truths in the reasoning given by the Iranian telecommunications minister. Iranian users concerned about the safety of their VPN service should consider those located outside the US such as NordVPN, those with a clear logging policy like IPVanish or those who have been involved in court cases and been unable to hand over any identifying information such as ExpressVPN and PrivateInternetAccess. Are you in Iran and have you been affected by the latest round of blocks? What are you doing to beat the blocks and how are you finding accessing VPN services? We would love to hear your thoughts in the comments section below. It’s official! Many Brits now watch Netflix at work or on the go!